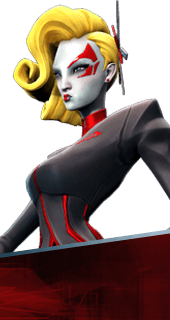 Deande is a Hero in Battleborn. She is unlocked at Command Rank 38 or by completing The Heliophage Story Mission. "Before Deande spearheaded the Jennerit rebellion, she was the Spymaster of the Jennerit Imperium, and one of Rendain's closest advisors. Swift, stealthy, and exceptionally lethal, Deande is one of the deadliest assassins the Imperium has ever produced." Deande’s primary melee combo (RT) strings a series of rapid melee strikes, while her secondary attack (LT) hurls her fans at foes for ranged damage. For 3 seconds after uncloaking, all of Deande’s skills and attacks deal 25% additional damage. Deande’s Jennerit elite uniform, tailor-made to maximize agility, mobility, and lethality. Cloaks Deande and deploys a decoy (20% health, 25% damage) to fight in her stead for 8 seconds. Upon death or expiry the decoy explodes for 20% damage. Deande charges forward, dealing 200 damage and pushing back enemies. Hit enemies are weakened, lowering their attack damage by 30%. Upon activation, Deande unleashes a flurry of 10 strikes directly ahead of her, stunning enemies and dealing 50 damage per hit. 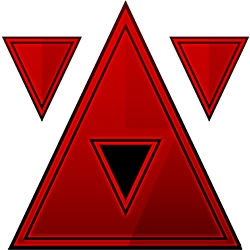 Burst Dash’s explosion erupts in an area of effect, damaging foes all around Deande. Burst Dash draws extra power from Deande’s shield reserves, granting bonus damage. Burst Dash now breaks Deande’s shield on activation. Upon activation of Blink Storm, Deande spawns a Holotwin decoy.